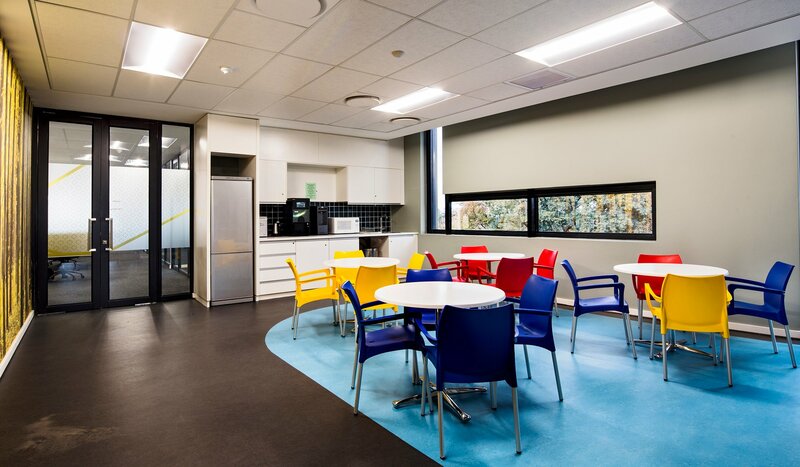 The new office development at 54 Glenhove, in Melrose Estate was completed in July 2016 and has a total rentable area of 5687m2. The building exploits its location close to the M1 highway on Glenhove Road and offers revitalizing views of the Houghton Golf Course and its vegetation. The building form appears almost as a lily pad and explores bold rectilinear shapes with fenestrated blocks piercing the exoskeleton of the monolithic structure. The windows appear as dense gems expressed in highly reflective glass which contributes to the control of emissivity of the building. 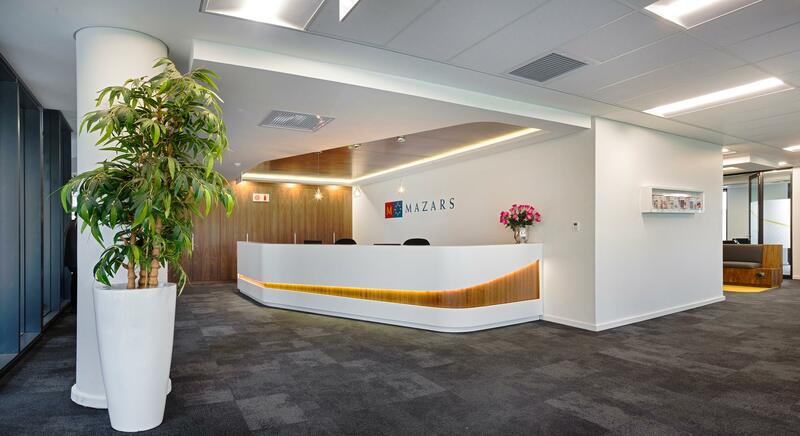 The facilities include refreshment and catering stations for Mazars, a shower station for joggers and cyclists and a roof top entertainment area. The east and west wings are separated by an atrium and connected with bridges, enclosed in a double skinned integument which allows in daylight but reduces heat. The H-shaped plan has been designed in a manner to allow for a single tenant or a number of tenants. 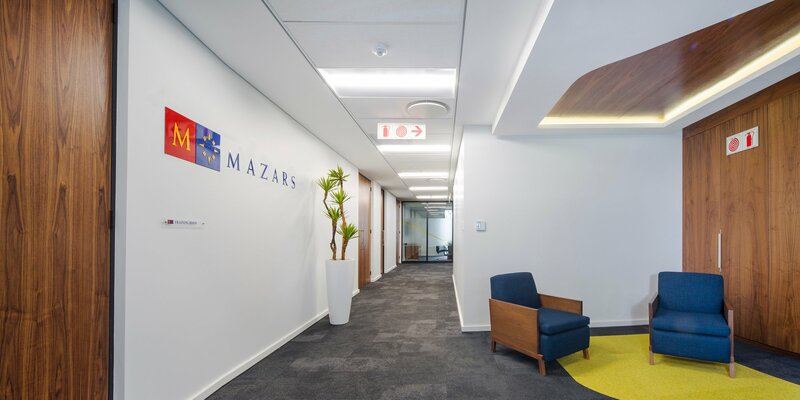 Half of the building will be occupied by the 175 Johannesburg staff members of the auditing, accounting, tax and advisory firm, Mazars. The developers of the project, Alchemy, have also taken space in the building with the balance being let to other tenants, including Stonehage Fleming, Schneier & London, and Stonewood. 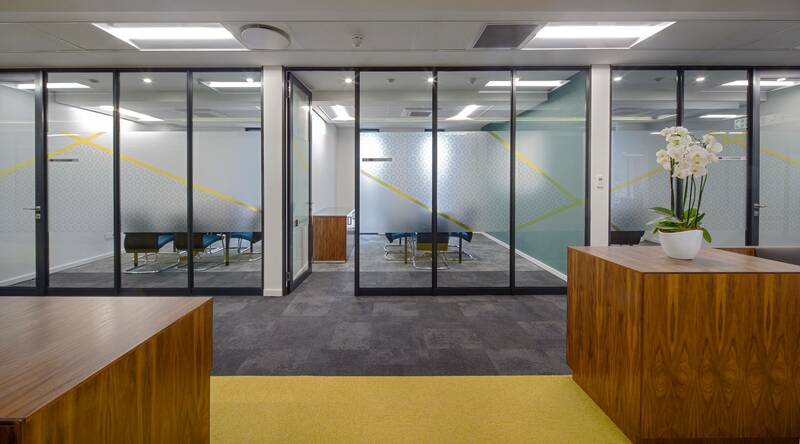 The interiors and graphics draw their inspiration from the surrounding trees and this sylvan tone continues into the materials and use of colour. 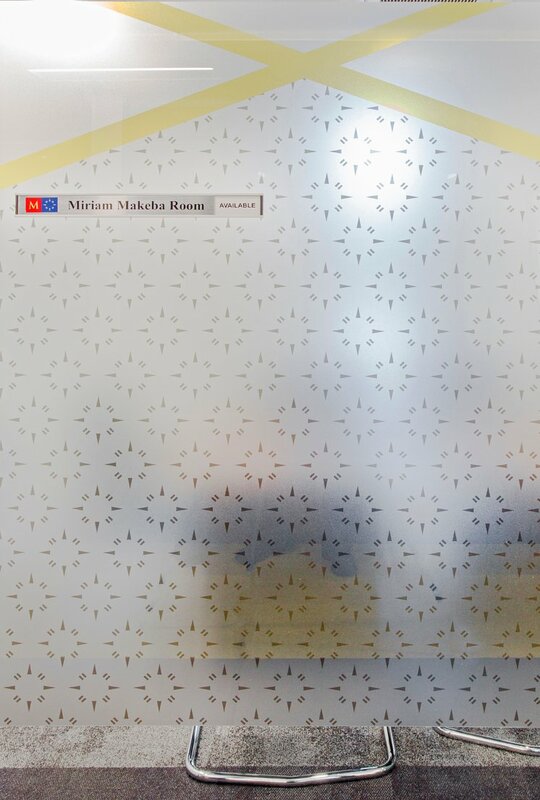 The interior architecture also complements the tone of an auditing firm to showcase their corporate values and brand identity. This has been achieved throughout by Paragon’s finely honed ability at value engineered design that is stimulating but restrained without the monotony often associated with corporate design.